With the VisionDome range, the UK based 360 Vision Technology in-house research and development team have used advanced technology and highly innovative design to raise dome camera assembly and functionality to new levels. 360 Visions choice of excellent quality electronic components ensures high consistently high video quality and industry-leading product reliability with minimal maintenance required. 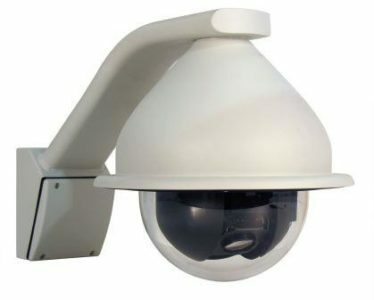 The VisionDome cameras are available in both colour and mono camera versions to suit both normal and low light level applications. Backlight compensation and white balance adjustments ensure the images produced from the cameras are of the highest quality, even in difficult lighting conditions. UK Manufacture – Designed and Manufactured in the UK. Protocols – ONVIF ‘S’ compliant or 360SDK, see our web site for the many compatible VMS systems. Built-in EDGE recording option – 128 or 256Gb Storage on board. Continuous/FTP Upload/Network Loss/Alarm Scheduled recording option to On-Board Storage. Privacy Zones – 24 privacy zones are available with simple joystick positioning and sizing. IP Multi Stream Codec – 2 Codec streams up to 1080p (25fps/30fps).